My first attempt at truffles. As always, my decorating skills need work but they taste good. In a large bowl, beat cream cheese until smooth. Gradually beat in confectioners’ sugar until well blended. Stir in melted chocolate until no streaks remain. Stir in cherries. Refrigerate for about 1 hour. Shape into 1 inch balls. Freeze for 1 hour. 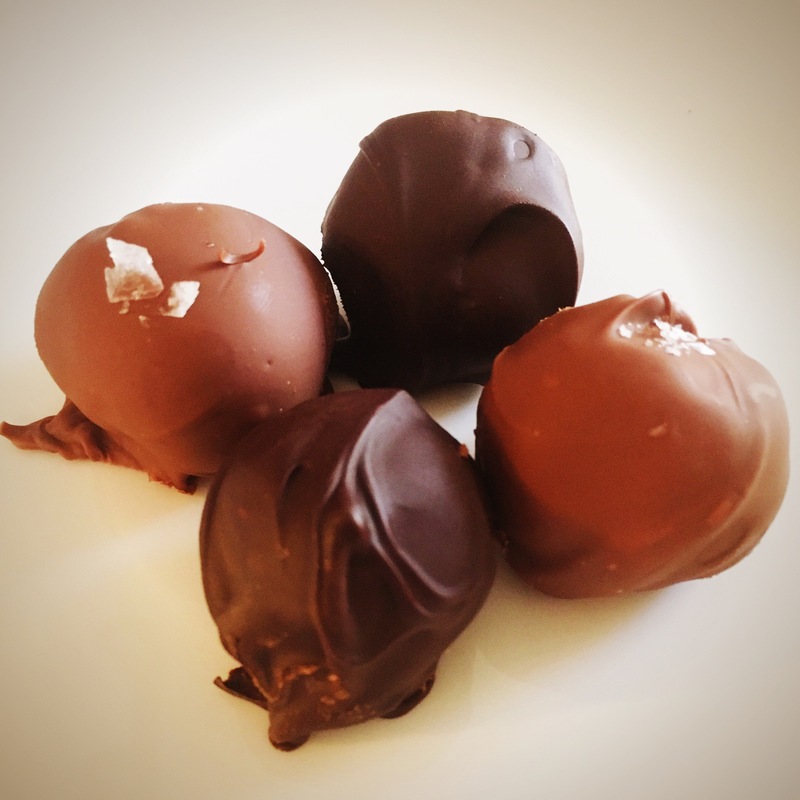 Melt milk chocolate and dip frozen balls in chocolate. Place on wax paper to harden. Refrigerate.